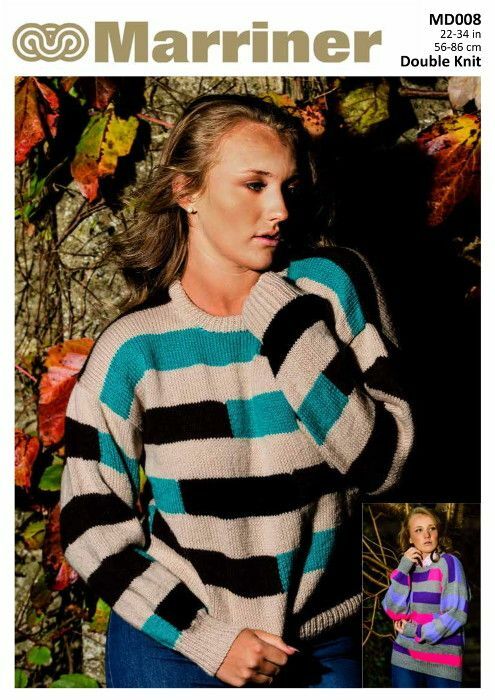 A multi-stripe pattern sweater for women or men, or teen girls and boys, in Double Knit. The stripes allow you to customise the jumper in 3 or 4 different colours. 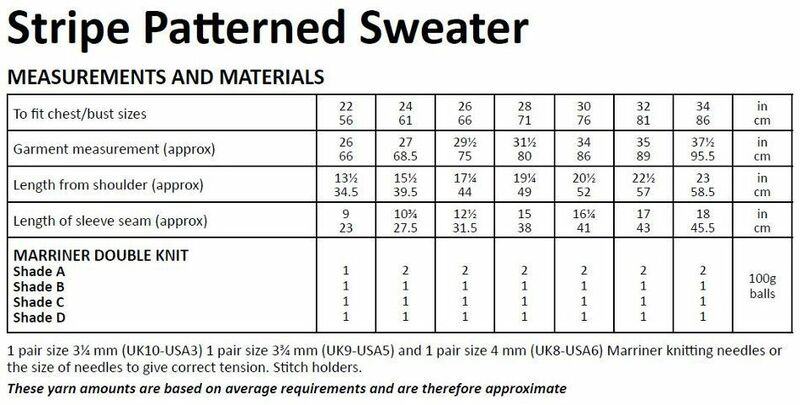 Hooks required 1 pair of size 3 1/4mm (UK10 - US3), 1 pair of size 3 3/4mm (UK9 - US5) needles and 1 pair of size 4mm (UK8 - US6). Stitch holders.